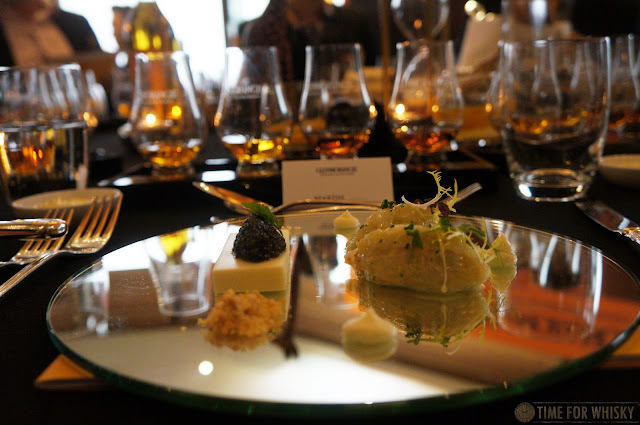 It's been a pretty great month of whisky events this month, and in particular, whisky lunches. 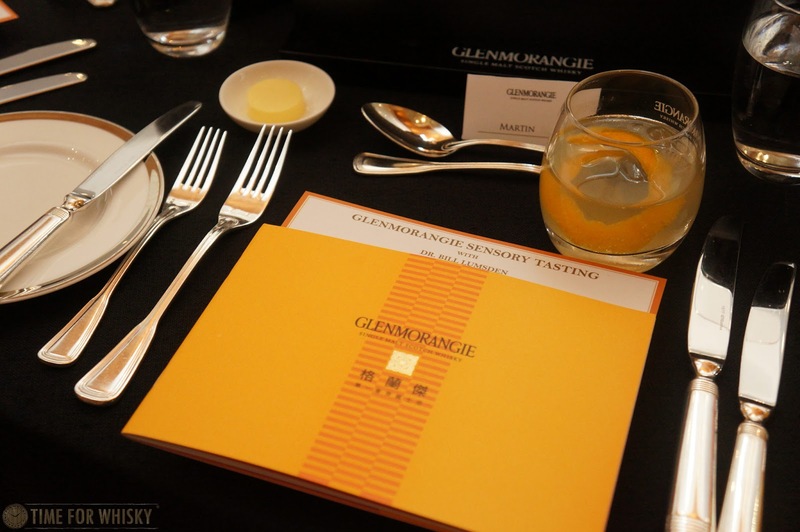 Barely a few days after The Glenrothes Vintage Reserve 12yo & Peated Cask launch lunch, I was off to the Grand Hyatt Hong Kong for a "Sensory Tasting" lunch with none other than Dr Bill Lumsden - the man responsible for pretty much every Ardbeg and Glenmorangie you've ever tried. Having had a riotously good time at lunch with Dr Bill just over a year ago, I was looking forward to what he had in store for us again...and maybe to see if he could give any hints about any upcoming releases (which he did)! 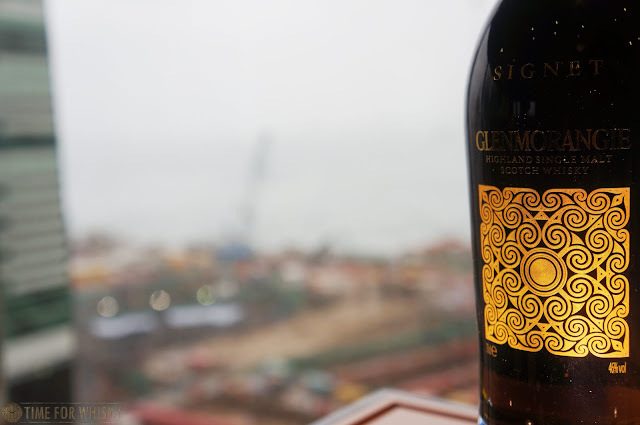 Hong Kong had turned on a suitably Scottish day for Dr Bill (one of the wettest in a while), but no matter - there was whisky to be drunk and senses to be played with! 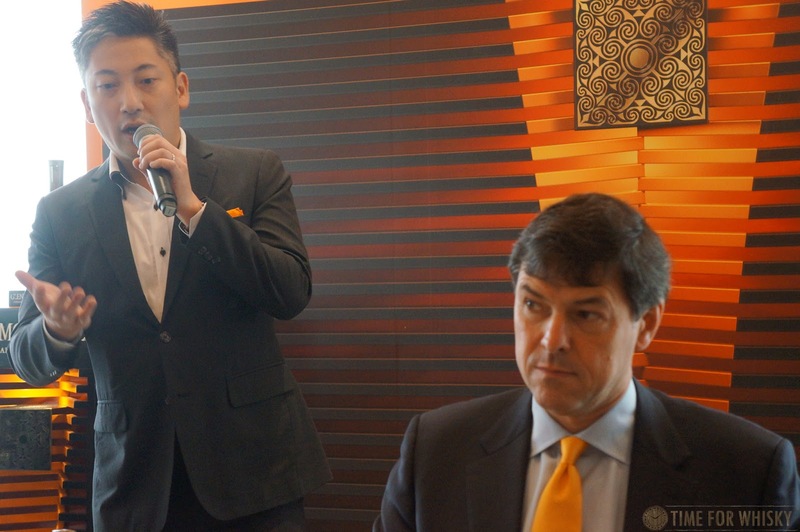 Hong Kong's resident whisky expert / good bloke Eddie Nara was co-host for the lunch, and kicked off proceedings not by asking us to pick up our Glencairns, but by asking us to put on the blindfold that was in front of each of us. 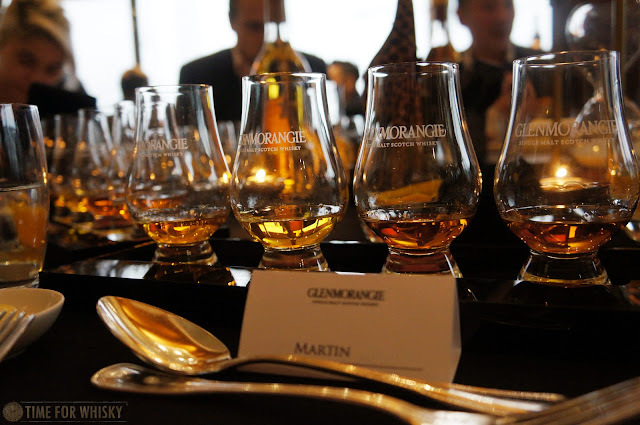 With eyes promptly obscured, the mysterious black boxes in front of each of us were opened, and we were instructed to (carefully) grab a Glencairn, and nose it, one at a time. 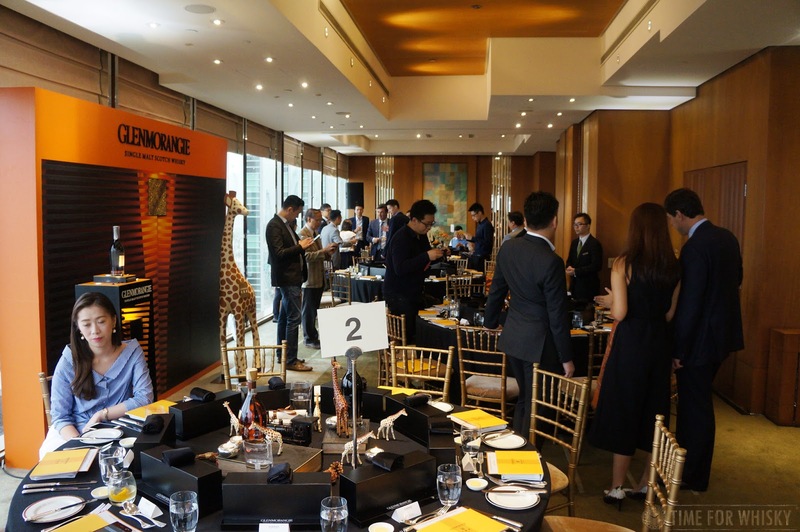 The intention behind this sensory nosing experience was to see who could discern the (relatively common) items in the glasses based on nose alone. 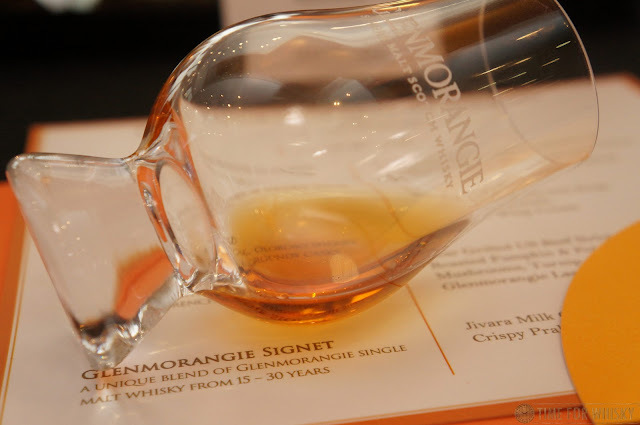 After a thorough nosing, we removed the blindfolds which revealed Orange peel, peach pieces, vanilla pods and honey, which Dr Bill then introduced as all the flavours in Glenmorangie Original (10yo) - the base of the cocktail we'd just enjoyed. Bill was asked why the whisky is only finished in Sherry, and doesn't undergo full maturation in ex-Sherry casks. 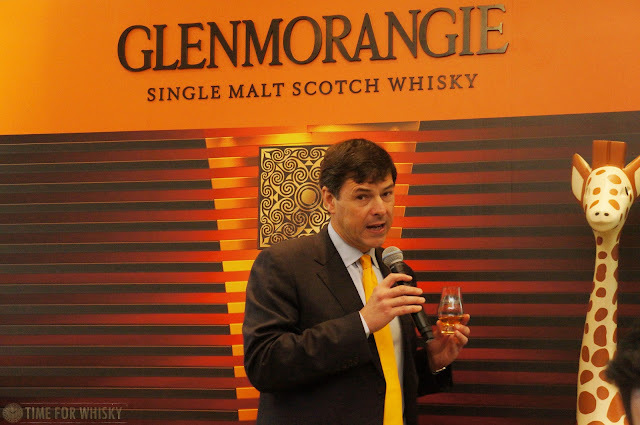 He explained that attempts to do so have resulted in the delicate Glenmorangie characteristic being lost, and so Bourbon maturation with a sherry finish is seen as the best of both worlds. Next was Glenmorangie "Extremely Rare" 18yo. 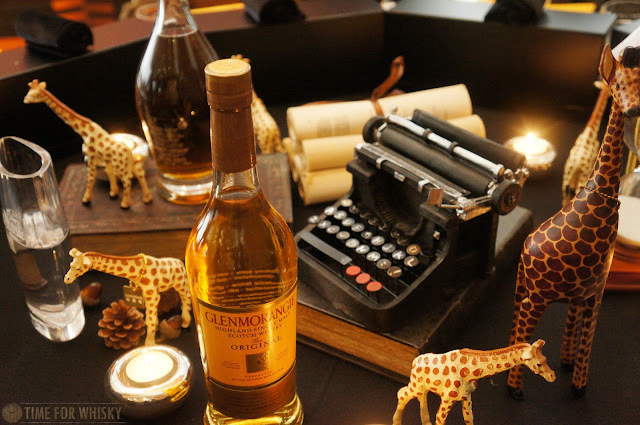 Dr Bill has a well-documented love-hate relationship with old whisky, and regularly mentions his preference for younger (not "young") whisky. 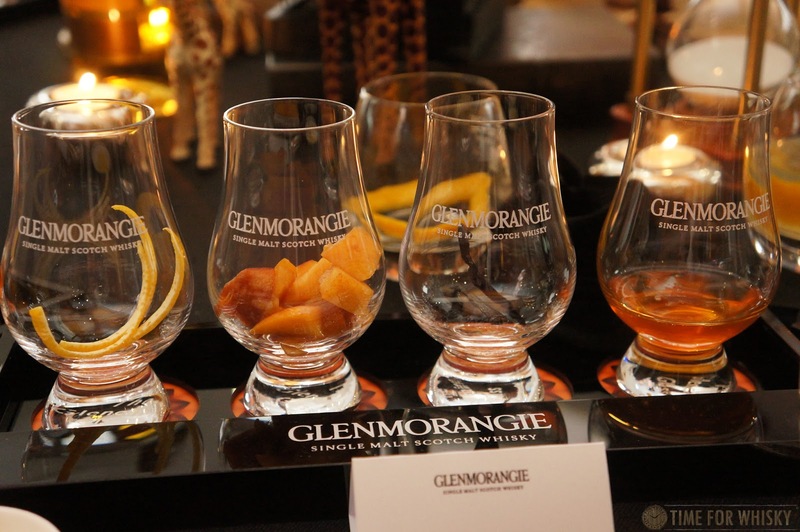 Nonetheless, the distillery does produce a limited amount of 18 and 25 year old each year (although the latter is going through a slight identity change next year, and will be released with a vintage each year). Aged in American white oak (ex-Bourbon) casks, and finished for three years in Sherry casks, the 18yo requires careful cask selection to ensure that age hasn't dulled or lost the trademark Glenmorangie characteristics. Paired with Tuscany porcini mushroom soup, french pigeon roulade and lack truffle whipped cream, the two were an excellent match - both delicate, neither overpowering the other. 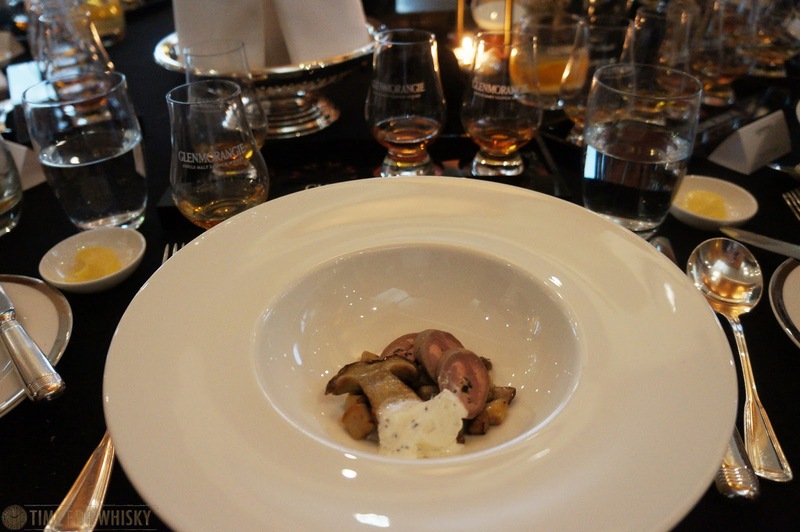 Glenmorangie 25yo was the third serve, and whilst the paired dish (Char-grilled US beef sirloin, roasted pumpkin and potato puree, chanterelle mushrooms, turnip, beetroot and Lasanta & mustard seed jus) was delicious, the focus here I have to admit was on the whisky by itself. Always a lovely dram, and a skillful mix of ex-Bourbon, ex-Oloroso and ex-Burgundy cask matured stock. As we mentioned last time, Glenmorangie 25yo was never intended to be a permanent part of the line up, but it has been since the early 2000s, and for that we should be thankful. It'll be interesting to see how (or if) the new Vintage 25yo changes, when the first release appears next year. Glenmorangie Signet is often paired with dessert, and this lunch was no exception. 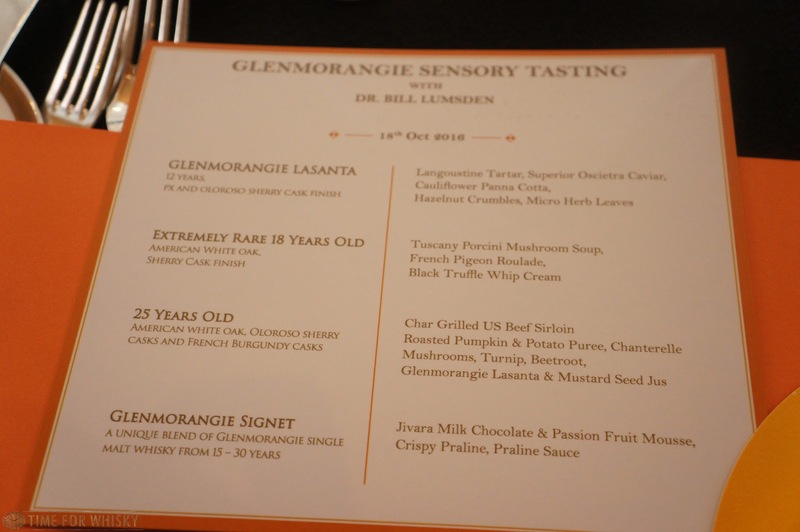 Interestingly, the menu described it as a blend of Glenmorangie from "15 - 30 years", whereas last year we learned it contained up to 45 year old Glenmorangie. Dr Bill did say that each batch differs from the last, so I guess it's not surprising that some of those aged stocks would be either depleted, or saved for something even more special. No matter though - it was still just as good as always, and again, the highlight dram. 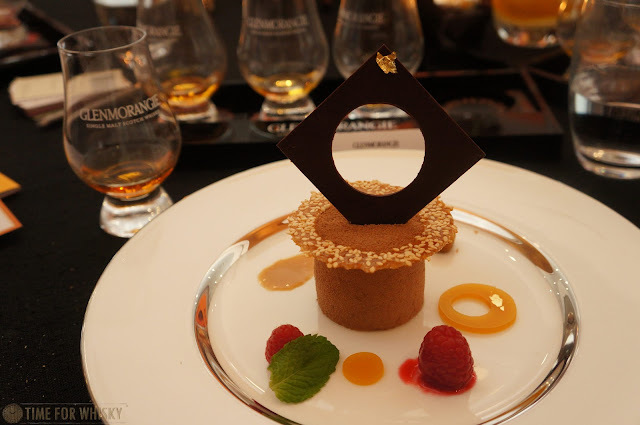 Paired with Jivara milk chocolate, passionfruit mousse with crispy praline and praline sauce, it was another skillful combination, although to be honest, I'd be happy with a nice big glass of Signet alone as dessert! 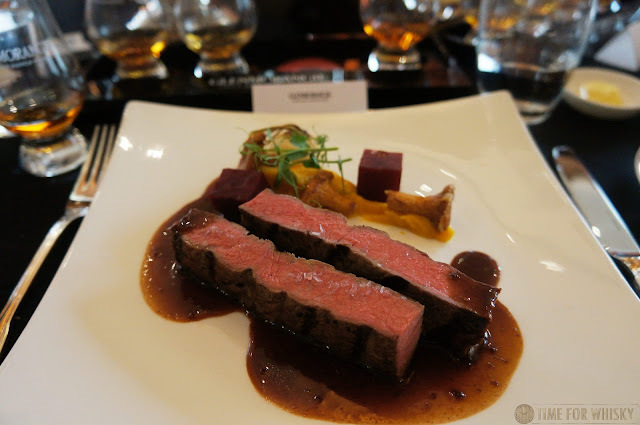 TimeforWhisky.com would like to thank MHDHK and WhyNotAsia for the invite to a wonderful lunch.